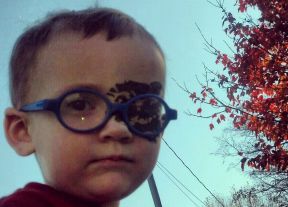 Austin was born with a congenital cataract which has since been removed and now we are strengthening the weak eye by patching since he was 6 and 1/2 weeks old. He is currently 25 months old. We patch 6 to 8 hours a day.